Spectrum Networks is looking for enthusiastic, talented and driven individuals to join the best and brightest in gathering, producing and delivering news that make a difference within a 24-hour breaking news environment! 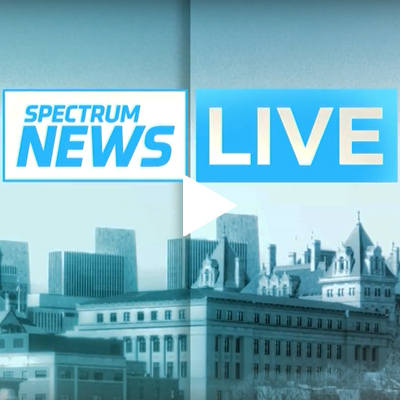 Spectrum News is a 24-hour breaking news network which requires employees who are flexible and available to work various shift, including early morning, late evenings, weekends and holidays. You’re ready to inspire and be inspired! You’re passionate, creative and highly technical, driven to flourish in a competitive, fast-paced environment. You're fiercely accurate, with a desire to leverage your knowledge, skills and abilities to share news stories to viewers our local communities. You're nimble, having the ability to pivot in an ever-changing workflow. You are a team player with a positive attitude and strong interpersonal skills. You have the ability to multi-task, meet tight deadlines and remain calm under pressure. Tired of chasing breaking news and ratings? Ready to get back to the art of compelling and dynamic storytelling and focus on quality over story count? Our Producers at Spectrum News don’t hyper-focus on words like “exclusive” or “first to report.” Instead, we write engaging, inspiring and issues-based content for a statewide audience that celebrates the state and region. We plan, create and facilitate the execution of stories across all Spectrum News platforms, including television and digital. A Spectrum Networks Producer is responsible for producing content for assigned shows and newscast. Contribute to special features and stories. Participate in coordinating coverage of major stories, breaking news and specials. Spectrum Networks is a series of 27 hyper-local news and 9 regional sports networks owned and operated by Charter Communications, Inc. Our commitment is to create relevant, timely content essential in the day to day lives of the people who live in the communities we serve. Additionally, our breadth allows us to share relevant content across our nation-wide networks, increasing our opportunity to share timely stories. We truly believe in continually redefining and re-establishing how we engage with our viewers and their local communities. Each Spectrum Networks’ employee is an influencer and culture keeper. We expect respectful communication (despite pressure), openness to feedback, an eagerness to learn, and an overall positive attitude!